Andrew and Jennifer have lost a combined total of 38+ inches and 40 pounds! What were the main reasons you’ve decide to get help with your health and fitness? The main reasons we decided that we needed help with our health and fitness were because we had hit our rock bottom. Our weight and eating habits began interfering with our desire and ability to be social and engage in activities with our 4 year old. We want to set a good example for him and we realized that being sedentary and eating the way we were eating wasn’t going to set that good example and it wasn’t going to allow us to enjoy him and (hopefully, one day) our grandchildren. We want to be the best versions of ourselves for ourselves, each other and our son. How long have you been training with Justin? Justin has been kicking our butts (and we have been kicking our own butts) for exactly 10 weeks, as of today! What do like the most about working with Justin? Our favorite things about working with Justin… there are so many things! We love the accountability, coupled with non judgment and constant constructive suggestions – not even constructive criticism. Justin is as positive and encouraging as you can be and listens, not dictates, like a stereotypical trainer might. Above all, Justin’s base of knowledge of all things health and fitness is incredible! Sure, Justin (and most trainers, probably) could show us how to do a proper bicep curl, but the knowledge of nutrition and ways to change old, bad habits is what makes all the difference to us! And Justin challenges/pushes us to challenge/push ourselves – something we have never been able to do before! There are a few things that we do (and anyone can do) to keep on track. First, you have to remember that even baby steps are steps in the right direction. Any forward momentum is still forward momentum. Second, and probably the most concrete, results driven piece of advice we can give anyone is to use the MyFitnessPal app religiously! That app is our bible! In the first couple of weeks working with Justin, it really showed us where our calories were coming from and it was pretty crazy to see. We learned a lot about what we put into our bodies and were also able to keep track of how much we put into our bodies. We were shocked seeing it in black and white and it made it a lot easier for us to see where we needed to make changes. After less than a week, using the MyFitnessApp becomes second nature. And Justin always has access to it, so he is always able to provide helpful suggestions about better or healthier versions of foods you enjoy eating. You plug your information (height, weight, etc.) into the app and it tells you exactly how much you should be eating every day based on weight loss and/or fitness goals you set for yourself in the app. You also log your exercise in the app, which gives you credit for the calories burned. It is so gratifying to see 1,000 calories added to your calorie credit after a good workout! Each day when you close out your food and exercise diary, it also tells you what your projected weight would be in 5 weeks if every day were the same as that day with regard to nutrition and fitness. Great motivation! We cannot say enough good things about the MyFitnessPal app – it is like a solid and detailed roadmap, with Justin being your guide. What are your subjective and objective results? Our objective results so far are obvious to us and to those who know us – we have lost a combined 40 pounds and 38+ inches in only 10 weeks! We are now fitting into clothes that we never thought we would fit into again and feeling better than we have in years! Our subjective results are, without question, the best and most important part of our journey with Justin! We are so fired up! We look forward to our workouts and challenging ourselves and each other. We have gotten competitive about our fitness, in a good way, that has helped us have a new kind of fun together. We never would have thought that a race to 200 pushups would be a fun experience for our family, but it totally is! But the most important result that we have achieved is getting back our mojo. That may mean different things to different people, but to us, it means that we want to go out and be social and we don’t mind (we look forward to) looking in the mirror before leaving the house. We want to dress a little nicer and take care of ourselves better. We don’t mind running into people we know around town. In fact, we look forward to it! Simply put, we are happy with ourselves, inside and out, for the first time in a very long time! We have Justin to thank for showing us how to rediscover the best versions of ourselves! The JustinFit Client of Month program is our way of recognizing our top achieving clients and share their success stories to motivate others. 1 Complimentary In-Home Training Session. 3 JustinFit gift certificates to pay it forward ($300 value). Lunch with their coach at their favorite healthy restaurant. A complimentary haircut and hot shave from our partners Ben & Johnny’s Barbershop. 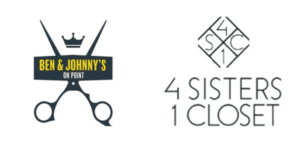 A $50 credit towards a private shopping experience from our partners 4Sisters1Closet. A $50 credit towards a portrait photo shoot and $100 towards wedding photography from our partners at Acromatico Photography. 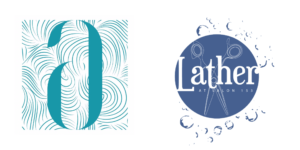 $50 gift certificate for hair services at Lather Salon FL. If you’d like to sponsor our client of the month program please email me at Justin@JustinFit.com. 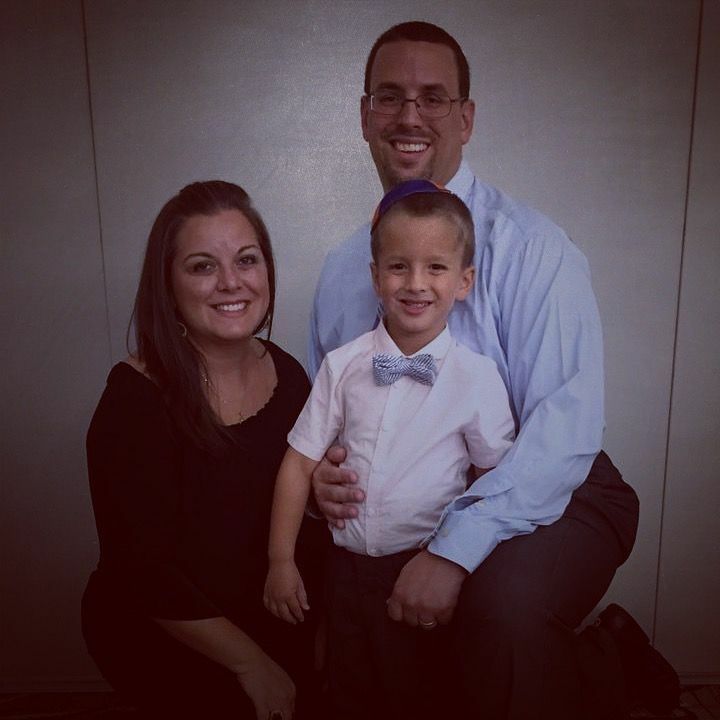 Justin Seedman is (ACE) American Council on Exercise Certified Personal Trainer, Health Coach, and Behavior Change Specialist. to be the JustinFit Client of the Month?